Where is the File Path for my Excel workbook? How many times has your colleague asked you to send him or her the file path of a file? In accounting, this happens so often when we have to review each other's work. When you have thousands of excel files in various folders it gets hard to keep track of where things are. Instead of going through your files and trying to type out your file path of C:\Users\My Computer\File, why not just put it in your Excel Quick Access Tool Bar. 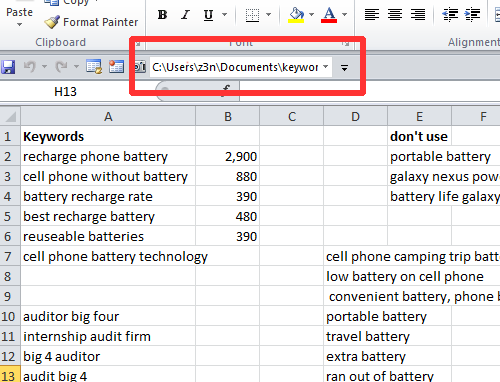 Here is how you can find the file path of your excel workbook. 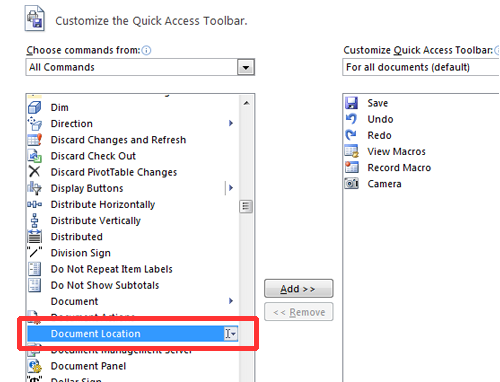 1) Go to 'File' in the top left corner of your excel program. Then it should show up on your ribbon and now all you have to do is copy and paste that location and email it to your colleague or whomever. Simple as that!